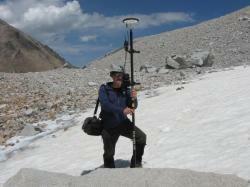 GEOMIN company carries out geodetic aiming of point objects. Instruments GPS MAGELLAN ProMark3 RTK are used for the survey – single-frequency GPS system, working in RTK mode in the 3rd class of accuracy mapping. Final report with coordinates presented in form of geographic system WGS-84 or in form of projected coordinate systems UTM or S-JTSK used in the Czech and Slovak Republic represents final output.